As citizens turn to their phones and tablets to get their news, information distributed through social media and online outlets becomes increasingly influential in configuring political perceptions. So much so, that online outlets and social media platforms have played a part in many of the political transformations of the last ten years – for better or worse. Anonymity and zero-cost-publishing have undeniably democratized the capacity to disseminate information. However, they have also brought about new challenges. Fake news, hate speech and extremist and polarizing ideas, which now roam seamlessly online, would not have so easily found a place in a traditional media environment, which abides by stricter professional codes of practice and has many entry barriers in place. This rising phenomenon generates an increasing concern among the global democratic community. At the WLA-Club de Madrid we believe that citizen access to reliable, balanced and complete information is a cornerstone of democracy. 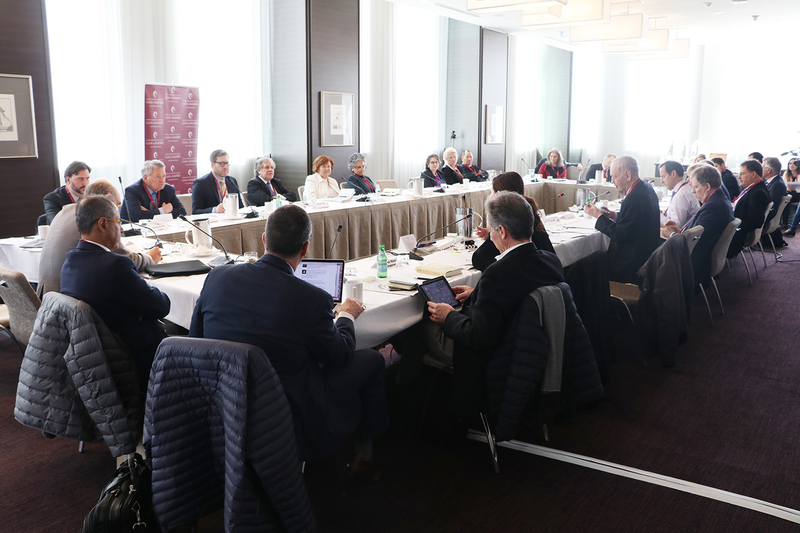 Already in our Next Generation Democracy North America Roundtable, held in the auspices of the NewCo Shift Forum in February 2018, many WLA-Club de Madrid Members, IT sector leaders and policy experts fretted about the impact of social media on democracy. Many states and other actors in the global community are currently tangled up in discussions on adequate policy approaches for social media platforms – some even consider regulating online information itself – and how this conjugates with freedom of expression, the backbone of any democratic society. 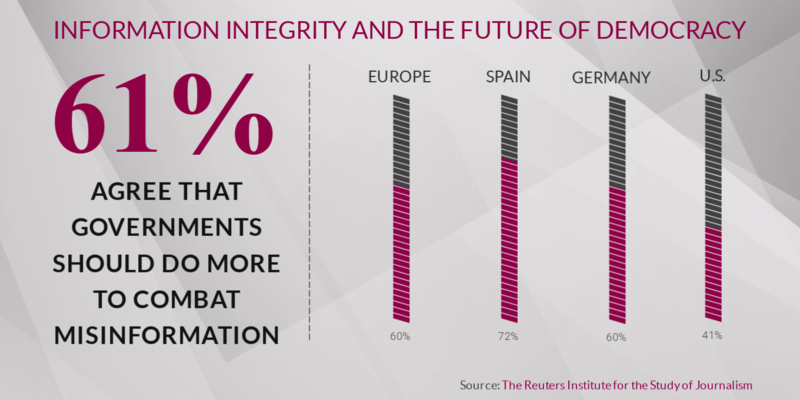 Building on those debates, the WLA-Club de Madrid plans to leverage the political clout of its Members and selected experts to formulate a set of policy recommendations that guide future actions in the area through a new project titled Information Integrity and the Future of Democracy. Information integrity refers to the trustworthiness, balance and completeness of information to which citizens have access on current affairs, government actions, political actors and other elements relevant to their political perceptions and decision-making. 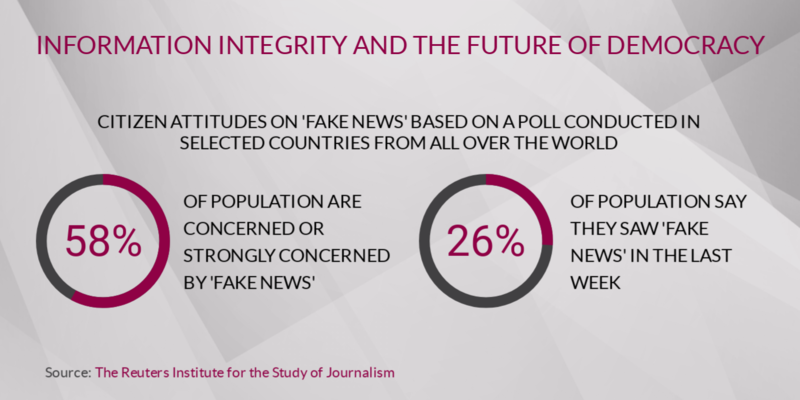 Some of the traits of online information work against information integrity, them being ‘fake news’, filter bubbles created by content algorithms that push citizens into ideological one-sidedness, segmented advertising and the use of social media for surveillance and repression by some authoritarian countries. 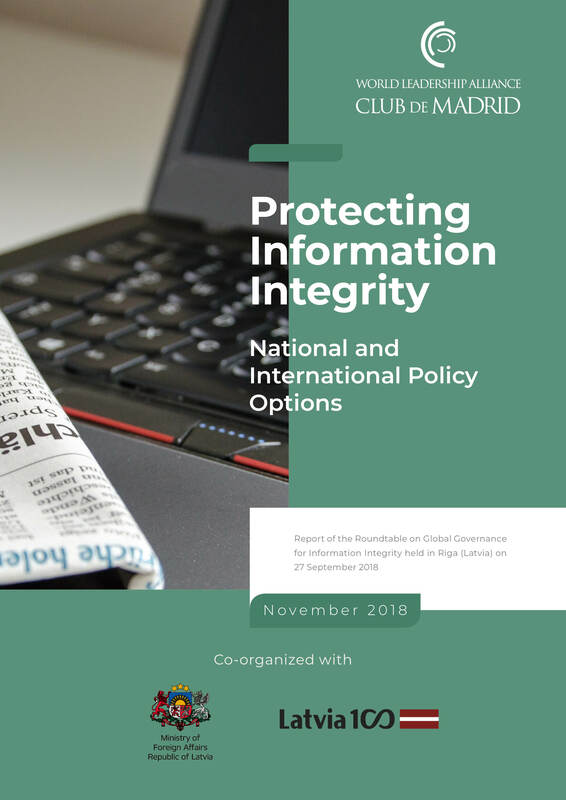 The first activity in the project, the Global Governance for Information Integrity Roundtable, will be held on 27 September 2018 in Riga. It is being organized jointly with the Latvian Ministry of Foreign Affairs. Its deliberations will feed into the Riga Conference, a forum of constructive international dialogue on security issues between global decision makers, organized by the Latvian Transatlantic Organization and the Latvian Ministries of Defense and Foreign Affairs.